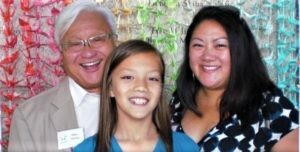 Michelle Honda-Phillips, daughter of former Rep. Mike Honda (D-CA), is the proud mother of a transgender daughter, Malisa. Since affirming Malisa’s authentic gender, Michelle has been a leading advocate for the unconditional acceptance of transgender and gender-diverse children. Gender Odyssey is proud to have Michelle as a presenter, and her family as past attendees. Recently, Michelle shared what Gender Odyssey has meant to her family. NATHAN TABAK: How are you connected to the transgender and gender-diverse community? Can you summarize your family’s experience briefly? MICHELLE HONDA-PHILLIPS: My daughter identifies with a gender different from what she was assigned at birth. She knew before she was even 2 years old that the doctor got it wrong. She was insistent. She was persistent. She was consistent in her identity and in her expression. She started asking to go by a different name around her third birthday. And by age six, we started to understand that there was much more going on and that we needed to start figuring out what she had been trying to tell us for so many years. Once we realized, and decided to socially transition as a family, I think the biggest challenge we faced as parents was understanding that our child was exactly the same child we had always known; that we had to get over our own ideas and visions of what we thought her life would be like…because the only thing changing was her name and pronoun. We weren’t saying goodbye to anyone…and this wasn’t about us. This was about our child finally being seen for who she had always known herself to be. 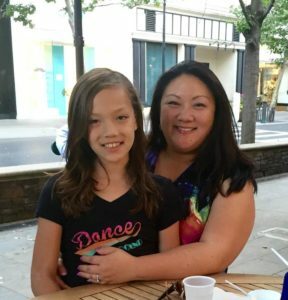 Our daughter is one of the strongest, most confident people I know…because she is determined to live authentically, because she was patient with us as it took years for us to finally understand, because she is a role model for other trans youth and families, promoting family acceptance and love. I am incredibly proud of the person she is. She taught me to see beyond what my eyes tell me. To love unconditionally. To be the parent she needed me to be so that she could live her life—but even though she is taking us on her journey, it is up to us, as parents, to help make that road safe. NT: What makes this year’s conference so important to you, particularly given current events? MHP: Given current events, to me, this conference means that there are people fighting for my child to live a safe and happy life. It means that there are people refusing to allow the fear and discrimination rampant in so many parts of this country to prevail. Transgender and gender-diverse people are at higher risk of bullying, harassment, violence, depression…and they need our acceptance and love. They need to feel safe at school, work, and in their lives, and they deserve to exist in public spaces. This conference welcomes families, community members, and professionals to attend thoughtful workshops and activities to help bring the change we so dearly need in our country. NT: What advice would you offer families attending Gender Odyssey for the first time? Which activities or sessions would you recommend? MHP: I recommend taking the time to really read the descriptions to choose the best activity or session for where you are in your own journey. Breathe. Connect. Hug. Be open. And know it’s okay to be emotional. We put our family first, always. You are taking a great step in being there and learning. Your child will see that. They will love you for that. It is one of the best gifts you can ever give them. NT: What was your family’s favorite experience from a previous conference? MHP: As a family, we’ve only attended one other conference, years ago. This was an important experience for my family because it was the very same weekend we had planned to socially transition. Our daughter was able to be fully authentic, using her name and pronoun. Our other two children were able to interact with other siblings and trans youth, and begin their own journey of awareness and acceptance. And as parents, we were able to meet and network with other families in various stages of understanding and transition, learning and trying to figure out the safest path for our daughter, all the while expanding our family and gaining lifelong friends. NT: What does attending the conference mean to your child(ren)? MHP: Although my family is not attending GO, they do know that their grandpa and I are speaking about our personal journey. They understand how important family acceptance is and support us living out loud. We, as a family, live authentically and love unconditionally—and hope that hearing our story will inspire others to live their truths and find their voices. NT: What lessons do you hope to take back from the conference to your community, especially in the current cultural and political climate? MHP: Being a resource, bringing awareness, and building support is even more important as communities face increased discrimination and violence. I hope to meet more families and community members. I hope to learn their journeys and connect in ways that will bring about lifelong relationships and friendships. In this cultural and political climate, making connections is vital to our growing network of parents fighting for our kids’ rights. I hope to get ideas of what other communities are doing so that I can bring them back to create a united voice. And I hope to spread that voice to other communities and help make our country safe, supportive, and welcoming. As we approach Gender Odyssey Professional Los Angeles (June 28-29) and Gender Odyssey Seattle (August 23-27) conferences, we are using our blog to spotlight some of the presenters, sponsors, and attendees of these conferences. We hope these Q&As will illuminate how Gender Odyssey is not only speaking to the issues central to trans kids, transgender and gender-diverse people today, but making a difference in the lives of those who participate. If you are sharing this article on social media, we encourage you to do so with the hashtags #GO2017 and #genderdiversity. This entry was posted in Blog and tagged Children, Conference, family, genderodyssey, GO2017, Parenting, Spotlight, transkids. Bookmark the permalink.